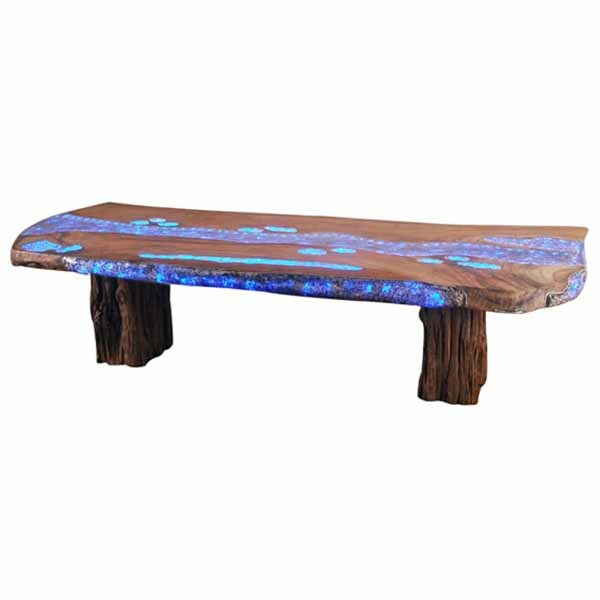 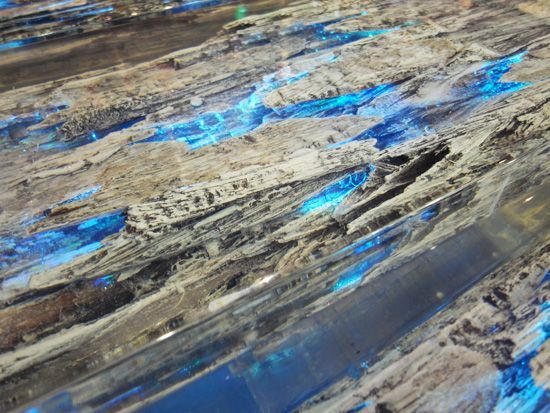 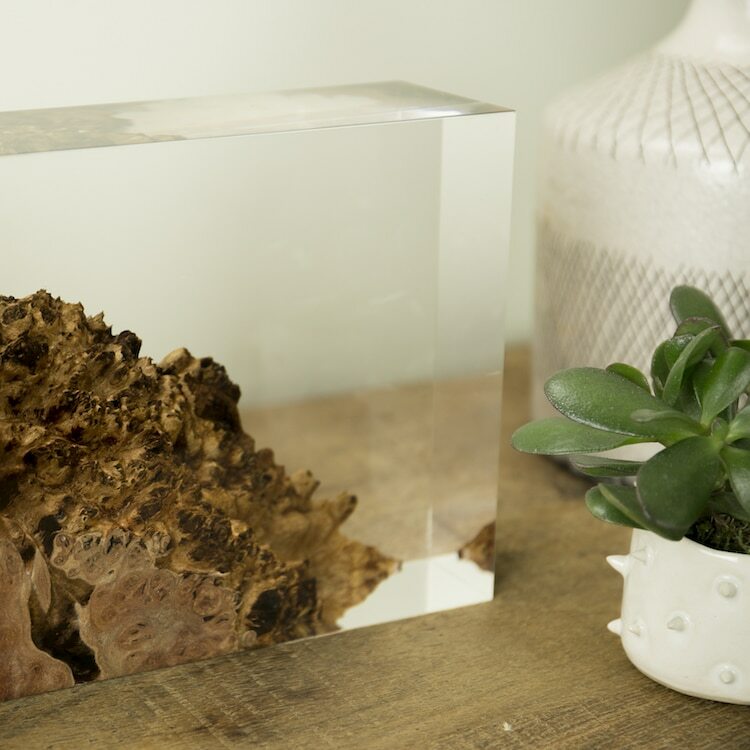 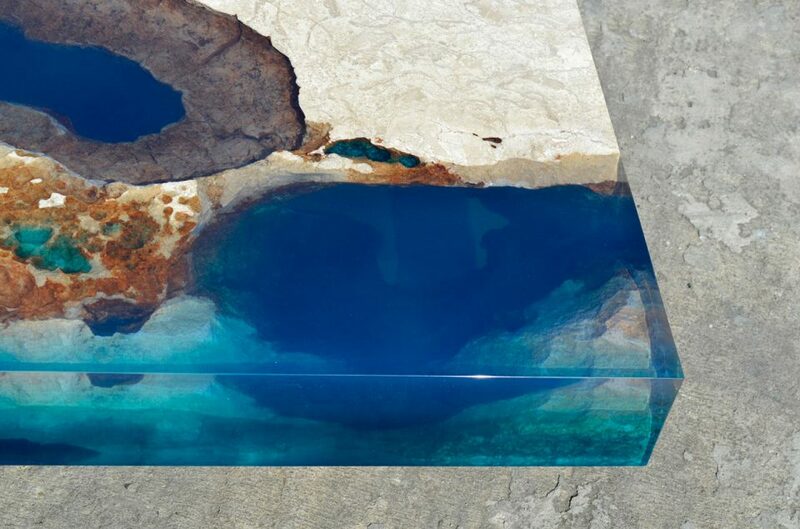 Clear resin is tinted with pigments, glitter or glow-in-the-dark powder, mixed with crystals and poured into the crevices of natural stone and wood to create one-of-a-kind home furnishings resembling geodes, galaxies or flyover views of the Caribbean. 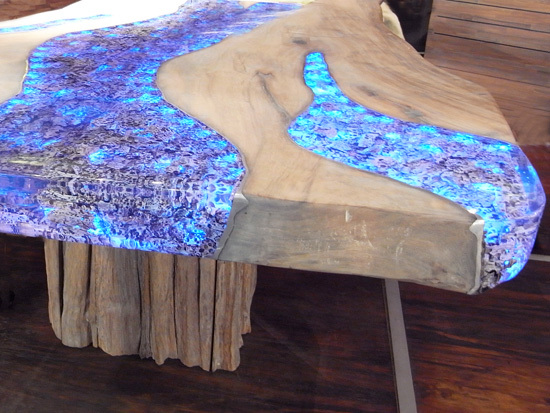 It’s also gorgeous on its own, blended into a rainbow of colors and poured into abstract compositions. 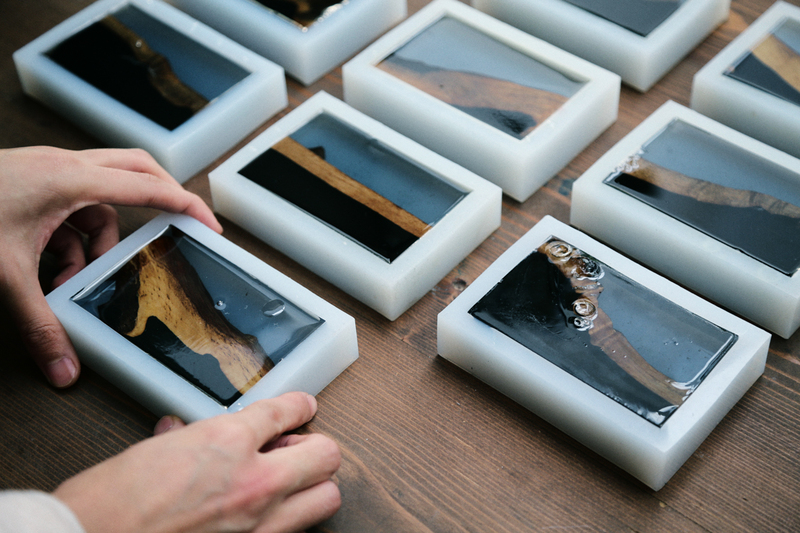 These tables, stools, lamps and more demonstrate the qualities that make resin so versatile for all kinds of design projects. 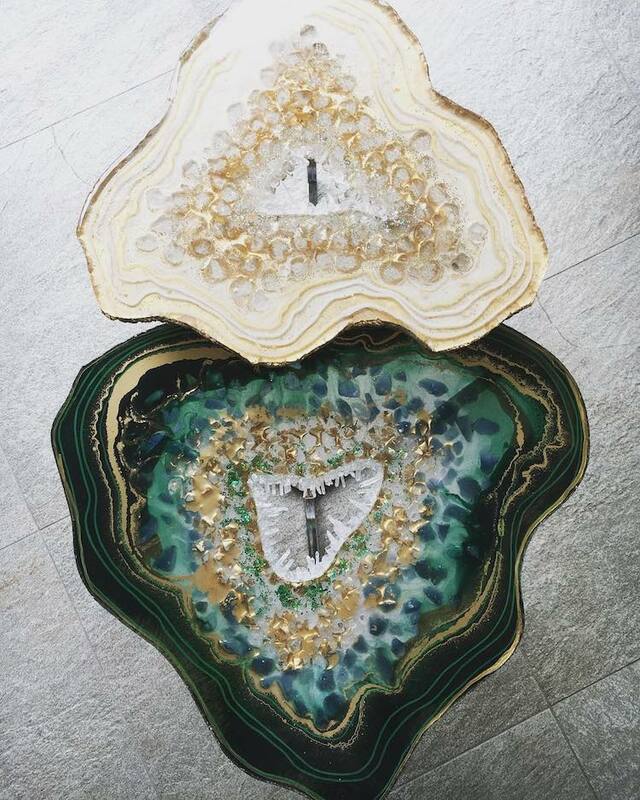 They look just like the kind of massive agates that would normally command tens of thousands of dollars, but these artistic tables by Stephanie Walberer of Colorberry Studio are actually made using pigments, glitter, stones and resin. 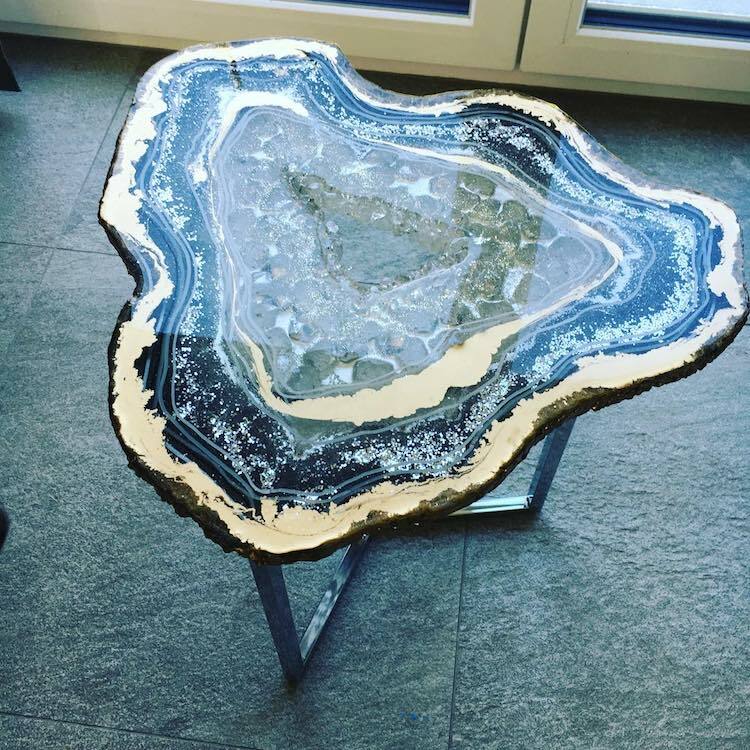 The designer mimics the look of real agates as she crafts each composition to create tables, cheese boards, wall hangings and more. 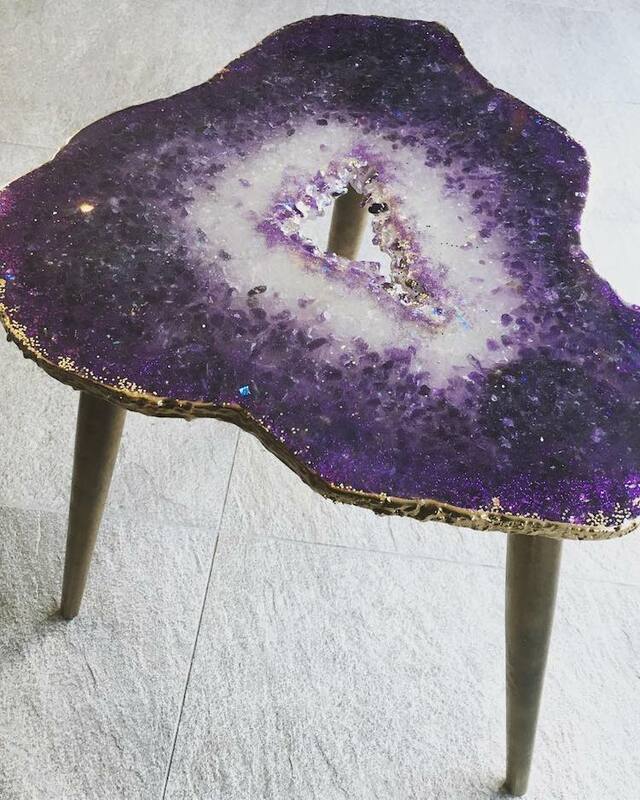 “Pouring geode pieces is so calming and, for me, just like meditation,” she says. 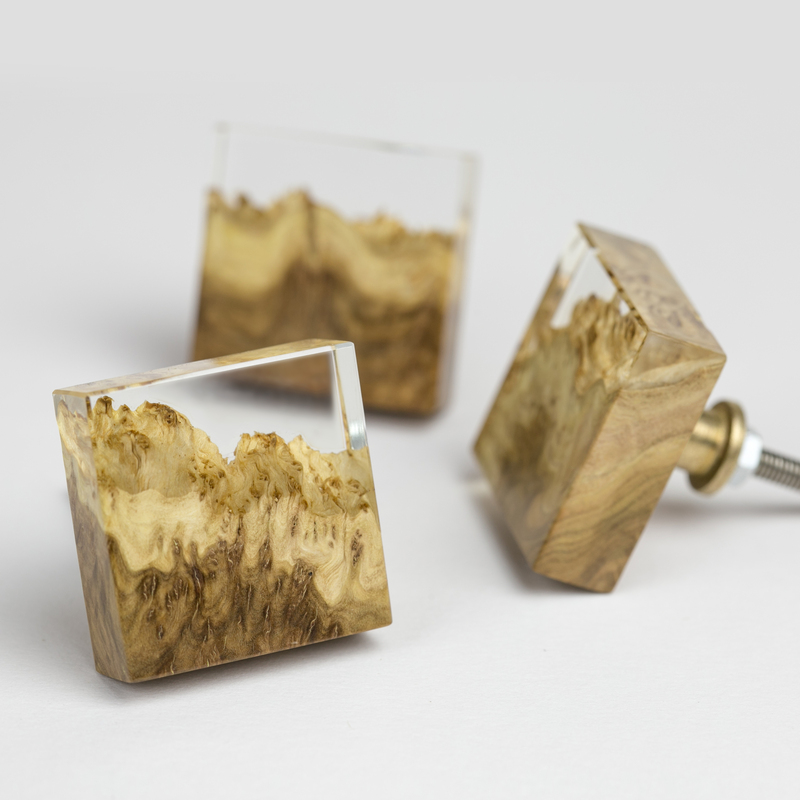 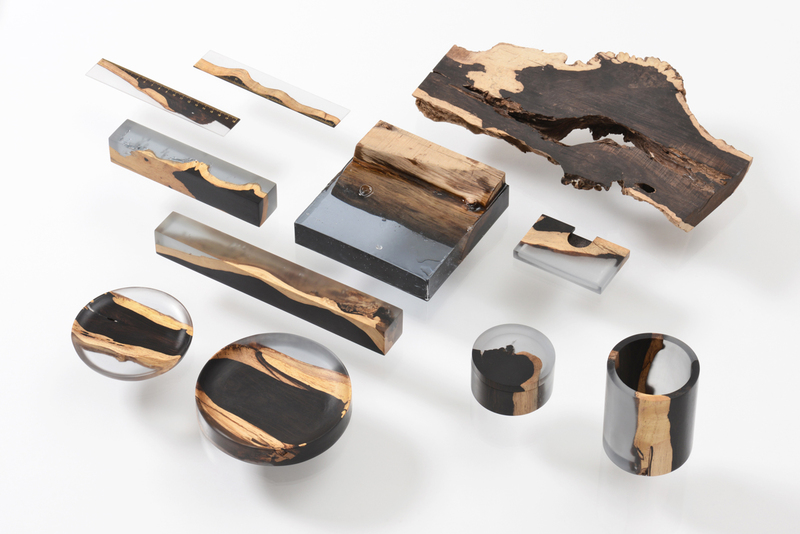 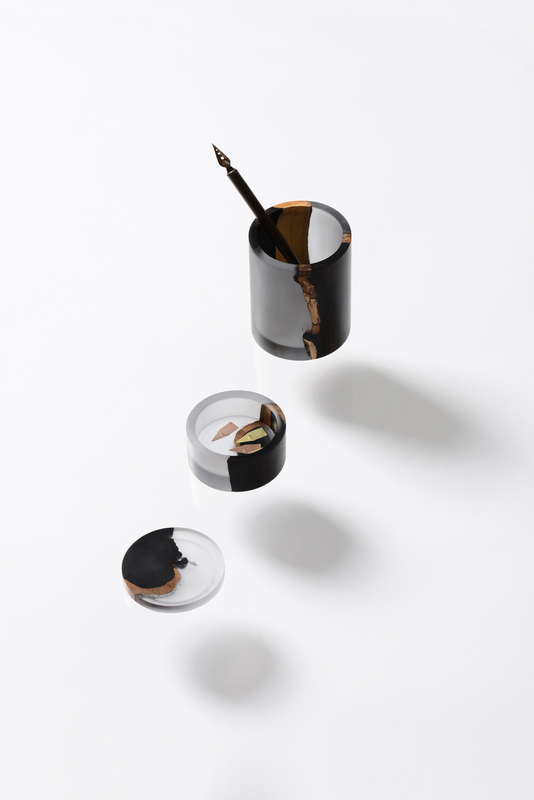 A collaboration between designer Sarah Webb and graphic artist Daniel Harder, ‘Iluka London’ is a line of handcrafted lighting, furniture and accessories fusing natural objects with modern, man-made materials.The versatility of acrylic and resin proves to be a stunning match for unusual pieces of wood sourced from Australia. 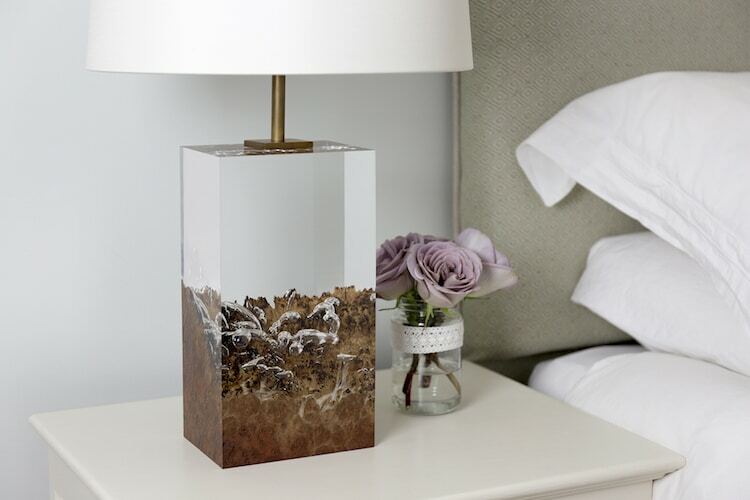 The company makes everything from cabinet knobs to large-scale furniture, but their lamps might just be the most stunning of all their offerings. 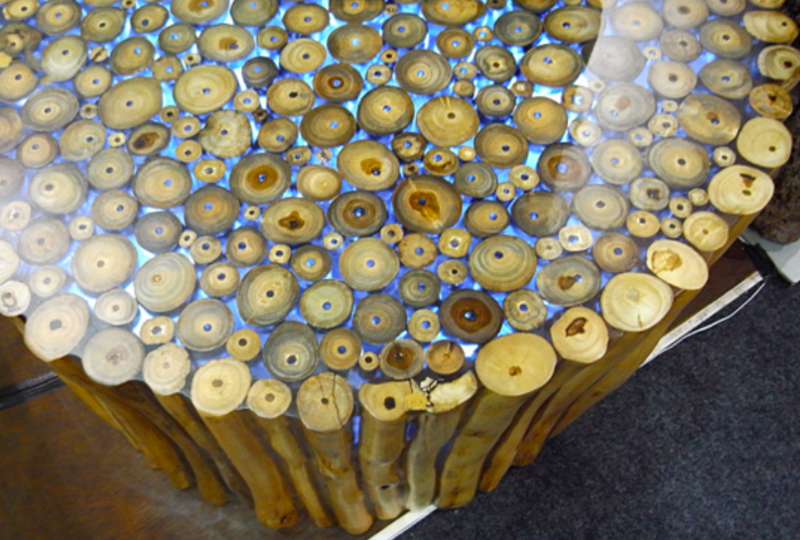 Epos Furniture, a Dutch company based in Indonesia, pairs resin with unexpected natural materials like wood and bamboo. 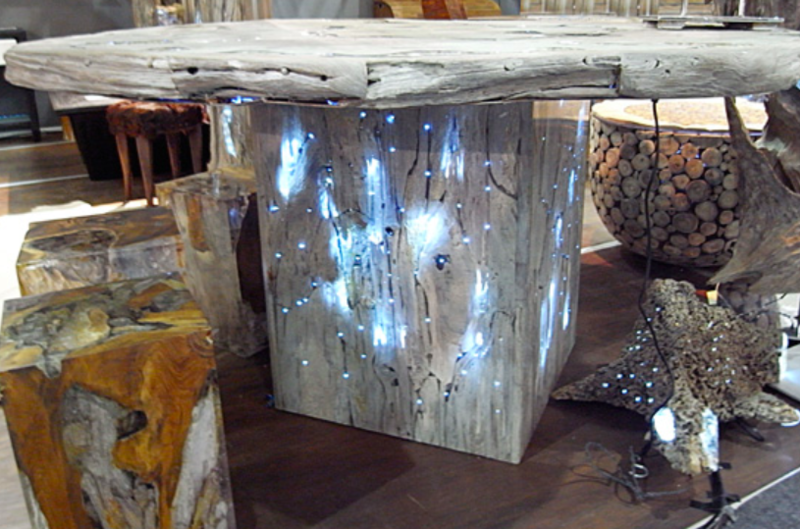 Some of their creations, like the Treasure Island Dining Table and Light Beam Table, even incorporate LED lights to glow from within. 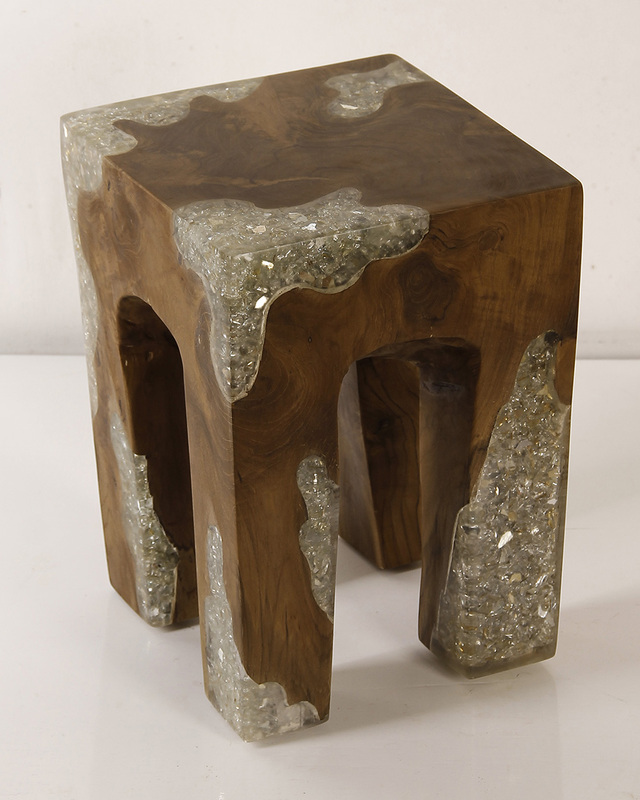 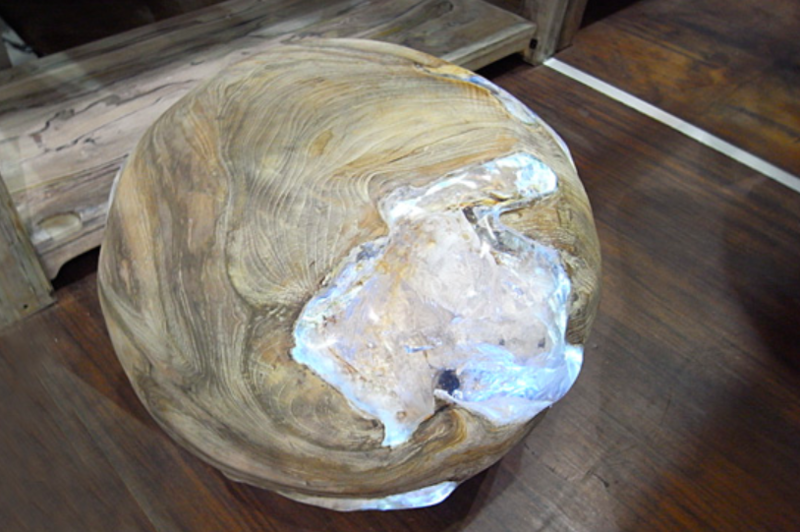 Another unusual piece is ‘Filled Tooth,’ a stool made of polished wood and resin full of crystals.